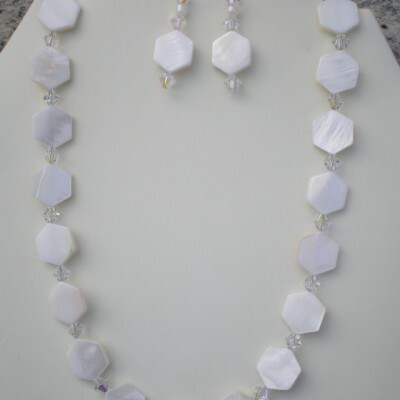 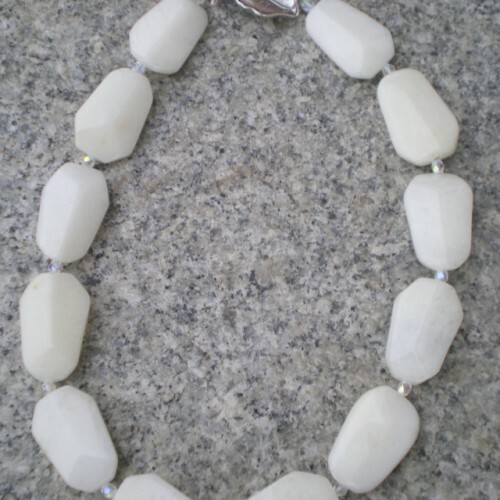 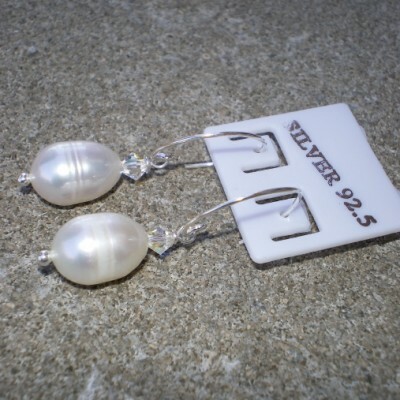 Large white quartz nuggets with AB round fire polished glass beads. 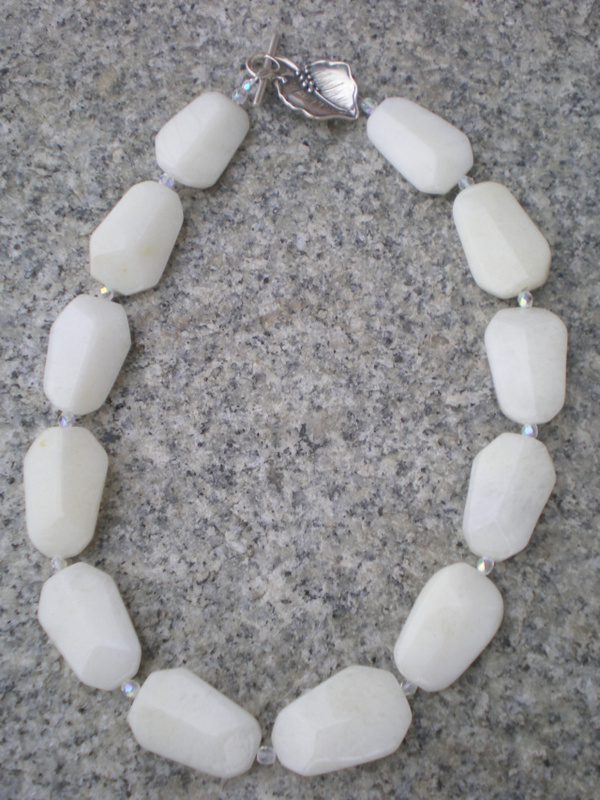 Beautiful large sterling silver leaf toggle clasp. 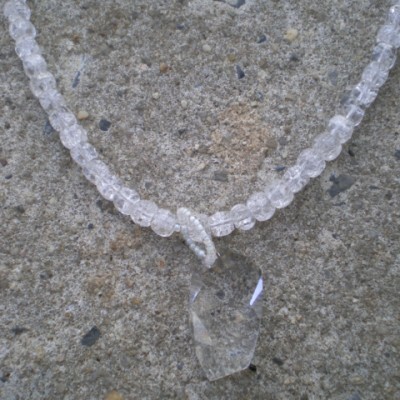 Be the first to review “18″ White Quartz Wedding Necklace” Click here to cancel reply.